Meetings alternate between the FCI El Reno Union House and the FTC Training Center. This site is dedicated to the union members who protect society from the criminals society locks away. October 2018 -- issue of the Local 171 Alert Newsletter. Previous Issues of the Alert. Did you know anytime you are faced with disciplinary actions you may (highly recommended) request a union representative? Just tell your supervisor you want a union representative before they begin to discipline you. See your Weingarten Rights here. Click here for a Union Rep.
All Bargaining Unit Employees of the Bureau of Prisons have the right to be accompanied by a Union Representative to all interviews with management officials, in which the employee reasonably believes the interview might result in disciplinary action (e.g. Investigative, Safety, Accident, Mystery Shopper) to include "NOT THE SUBJECT OF THE INVESTIGATION". Signing up for AFGE Texts is as easy as 1, 2, 3! 2. What's your Zip Code? 3. Opt in for robocalls and teletown halls? Reply with either a Y for Yes or a N for No. A class action lawsuit has been filed against the Federal Government over the government shutdown that started on December 22, 2018. The lawsuit was filed on December 31, 2018 on behalf of AFGE by Heidi Burakiewicz, a partner at a law firm in Washington D.C. A similar lawsuit was filed back in 2013 and we won that case as the Agency should have followed the law and paid staff that were required to work even during a lapse in appropriated funds. We encourage all bargaining unit staff to become union members. Remember, strength is in numbers. As a member of Local 171 you WILL be heard. Click here to download the form to join the AFGE Local 171 Union. Contact any Union steward for more information about becoming a member. Visit the Council of Prison Locals for National news. 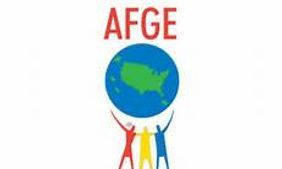 Click here to read the latest AFGE Government Standard. Follow us on Facebook at AFGE Local 171 . Remember, your membership is tax deductible! Click here to visit The Correctional Peace Officers (CPO) Foundation's website.